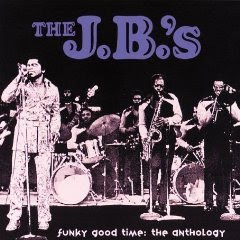 The J.B.'s recorded under various billings in the early '70s, including the J.B.'s, Fred Wesley & the J.B.'s, Maceo & the Macks, the First Family, the Last Word, and others. This double CD gathers 30 of the prime tracks by all of the above configurations from the first half of the '70s, including all nine of their chart hits and quite a few rare singles and long versions. Often, James Brown himself chips in with incidental vocals (though this is mostly instrumental) and keyboards. The two-and-a-half-hour program can start to sound monotonous if taken all at once, but it's prime, often riveting funk, jammed with lockstep grooves that vary between basic R&B vamps and imaginative, almost jazzy improvisation.